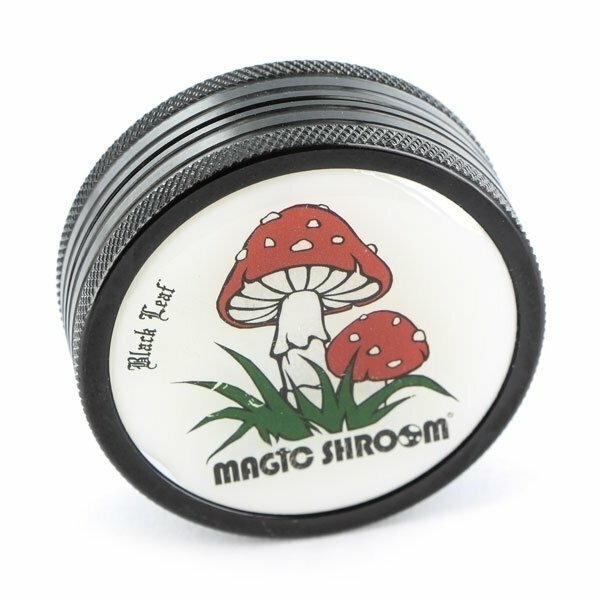 This metal grinder by Black leaf is decorated with Amanita and the lettering "Magic Shroom". Top and bottom part have a grooved edge for better haptics. 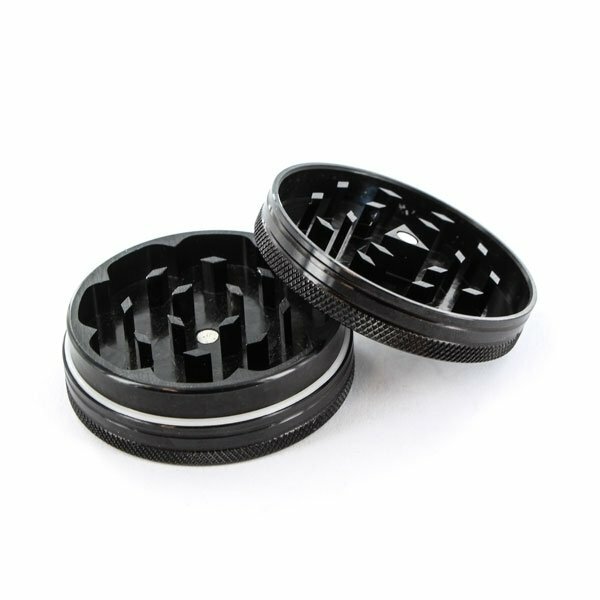 Both parts are equipped with diamond-shape milling teeth and are separated by a nylon ring. Magnets keep the parts in place. 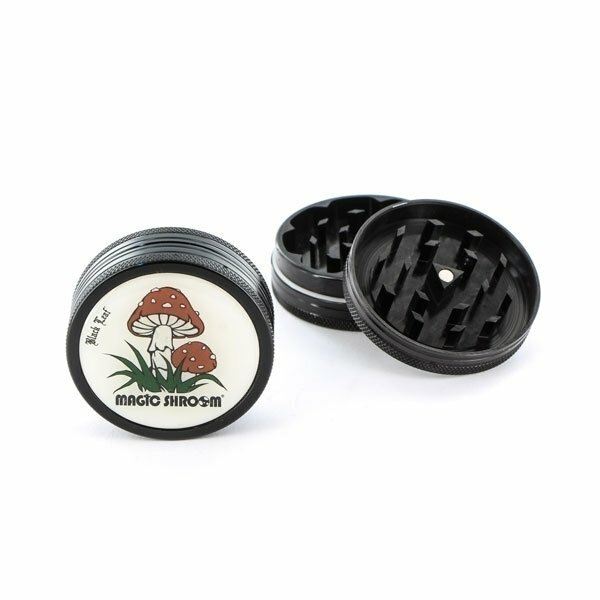 Diameter: 5cm. Funziona perfettamente, me lo hanno rubato, me lo vado a riprendere con una mazza da baseball.